← Jamaicans Abroad Too Poor To Come Home? YES! I watched the show also and was amazed how he depicted “Parts Unknown” in Jamaica. Folks who thought he was going to make the island palatable for coming and going might be surprised. He mocks the typical tourist as a pot belly, continuous alcohol drinking, silly hat wearing clown. 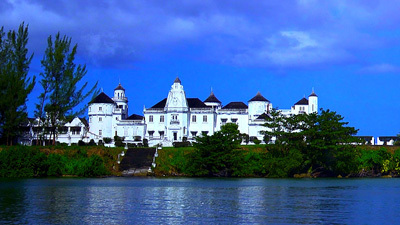 One comment made by the grandson of Errol Flynn at the lavish dinner party hosted by Mr. Lee-Chin, I agree with and that is most people who say they’ve been to Jamaica don’t really ever see the island-its people, culture and life struggles. Perhaps its because they stay within the walls of an all-inclusive compound. The development plan discussed on the show would promote more of this and leave local Jamaicans without! Bourdain previously hosted a travel food show on the Food Network several years ago, but his commentaries about the country visited began to branch out beyond cuisine into the history, culture, politics affecting the country. By the way, Mr. Bourdain visited Jamaica during that time on the Food Network and he didn’t touch on politics then. So now “Parts Unknown” is aired on CNN more as a documentary than just how tasty local food is. He has not just singled out Jamaica. Take a look at what he investigated and exposed with Mexico. A celebrated poet whose son was murdered in that country’s drug war crossfire, described the new political tyrant in the world – GREED! Take note. This tyrant exists worldwide, even in places we consider PARADISE. 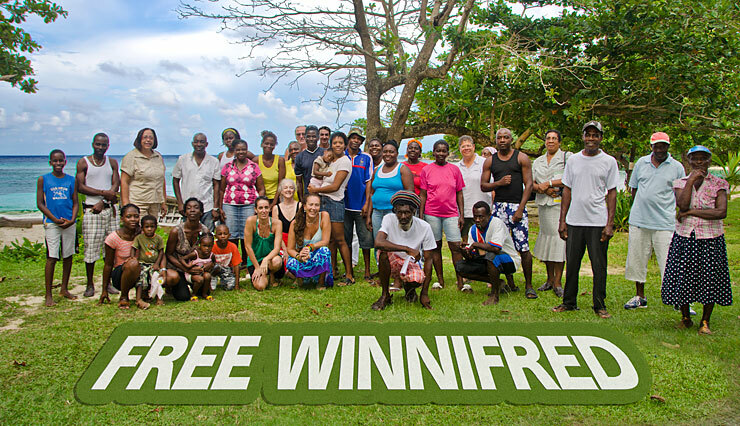 Thank you Dr. Cooper for sharing this with your readers and to highlight the real heroes in Portland- Cynthia, Dennis and the Free Winnifred Benevolent Society. So happy to hear their efforts won the case! May it inspire others! Reblogged this on nine gainsborough. Soon there won’t be any place to have a good bath on the coast in Jamaica if it were for these capitalist. What do they expect the common man to do when they have acquired all the properties on the coast? We are not idiots we are not fools and we have constitutional right just like them. It is really frightening how human being can say they are doing things for the betterment of humanity when they are casting the poor men into a state of no return. I wonder if these big men pray like me and you and I wonder again if they pray through the same Jesus I pray through. Righteous! So important to have intellectuals with heart like yourself still Doing The Right Thing. I didn’t get the Flow feed in my colonial rock in the ocean (where we luuuuuuuuuuuurve to give up ‘our’ beaches to any western magnet so we can be in close proximity to a Tourist).